Satisfy your inner culture vulture at Temple Bar and Kilmainham Gaol. Get some historical perspective at Dublin Castle and Trinity College Dublin. There's still lots to do: take in the spiritual surroundings of Saint Patrick's Cathedral, examine the collection at Glasnevin Cemetery Museum, indulge your thirst for a good beer at Guinness Storehouse, and take an in-depth tour of National Museum of Ireland - Archaeology. For more things to do, ratings, maps, and other tourist information, refer to the Dublin day trip planning website . Sydney, Australia to Dublin is an approximately 26-hour flight. You can also do a combination of train and flight; or do a combination of bus and flight. The time zone difference when traveling from Sydney to Dublin is minus 10 hours. In August, daytime highs in Dublin are 22°C, while nighttime lows are 12°C. Cap off your sightseeing on the 28th (Fri) early enough to go by car to Liscannor. Liscannor is a coastal village in County Clare, Ireland.GeographyLying on the west coast of Ireland, on Liscannor Bay, the village is located on the R478 road between Lahinch, to the east, and Doolin, to the north. On the 29th (Sat), stroll through Spanish Point Beach, then kick back and relax at Lahinch Beach, then explore the striking landscape at Cliffs of Moher, and finally stroll through Hag's Head. For reviews, other places to visit, traveler tips, and tourist information, go to the Liscannor online vacation planner . Getting from Dublin to Liscannor by car takes about 3 hours. Other options: take a bus; or take a train. In August in Liscannor, expect temperatures between 21°C during the day and 14°C at night. Finish up your sightseeing early on the 29th (Sat) so you can travel to Dingle. 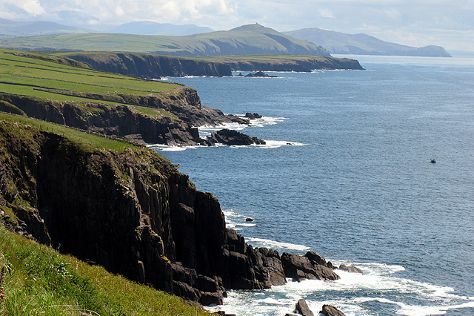 Kick off your visit on the 30th (Sun): cruise along Slea Head Drive. Get ready for a full day of sightseeing on the 31st (Mon): stroll through Coumeenoole Beach, then take some stellar pictures from Brian de Staic Jeweller, then kick back and relax at Inch Beach, and finally pause for some serene contemplation at St.James Church. To see more things to do, other places to visit, and tourist information, you can read our Dingle road trip site . You can do a combination of car and ferry from Liscannor to Dingle in 3 hours. Alternatively, you can take a bus. In August, plan for daily highs up to 20°C, and evening lows to 14°C. Wrap up your sightseeing on the 31st (Mon) early enough to drive to Killarney. 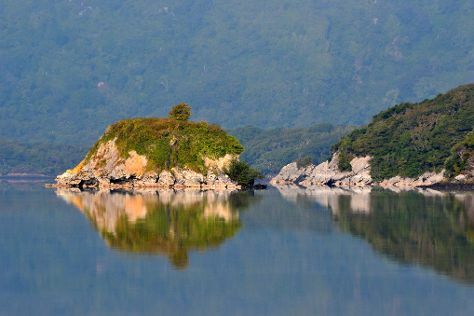 Kick off your visit on the 1st (Tue): explore the striking landscape of Killarney National Park. Here are some ideas for day two: step into the grandiose world of Ross Castle, then admire the sheer force of Torc Waterfall, then take in nature's colorful creations at Muckross House, and finally steep yourself in history at Muckross Abbey. To find photos, ratings, and tourist information, read Killarney trip planning tool . Drive from Dingle to Killarney in 1.5 hours. Alternatively, you can take a bus. August in Killarney sees daily highs of 20°C and lows of 14°C at night. Wrap up your sightseeing on the 2nd (Wed) to allow time to drive to Cork. 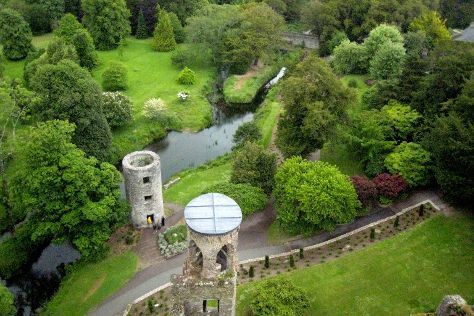 Kick off your visit on the 3rd (Thu): get engrossed in the history at Nano Nagle Place, then contemplate in the serene atmosphere at St. Anne's Church, then take an in-depth tour of Cork City Gaol, and finally steep yourself in history at Blarney Castle & Gardens. To see more things to do, traveler tips, maps, and tourist information, go to the Cork day trip site . You can drive from Killarney to Cork in 1.5 hours. Alternatively, you can take a bus; or take a train. In September, plan for daily highs up to 19°C, and evening lows to 11°C. Finish your sightseeing early on the 3rd (Thu) to allow enough time to drive to Kilkenny. 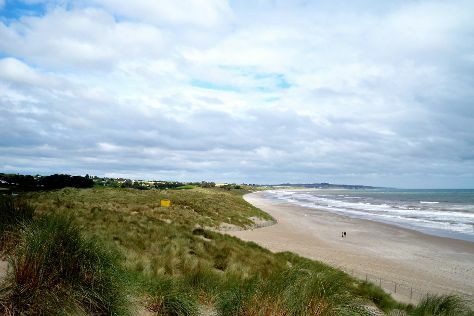 On the 4th (Fri), explore the historical opulence of Kilkenny Castle, then step into the grandiose world of Ferns Castle, and then stroll through Curracloe Beach. On the 5th (Sat), you'll have a packed day of sightseeing: visit a coastal fixture at Hook Lighthouse, view the masterpieces at The Irish Handmade Glass Company, then see the interesting displays at King of the Vikings VR, then take in the spiritual surroundings of Jerpoint Abbey, and finally take in the architecture and atmosphere at St. Canice's Cathedral & Round Tower. To see more things to do, reviews, maps, and more tourist information, refer to the Kilkenny travel route planner. You can drive from Cork to Kilkenny in 2 hours. Alternatively, you can take a bus; or take a train. In September in Kilkenny, expect temperatures between 19°C during the day and 12°C at night. You will have some time to spend on the 6th (Sun) before leaving for home.